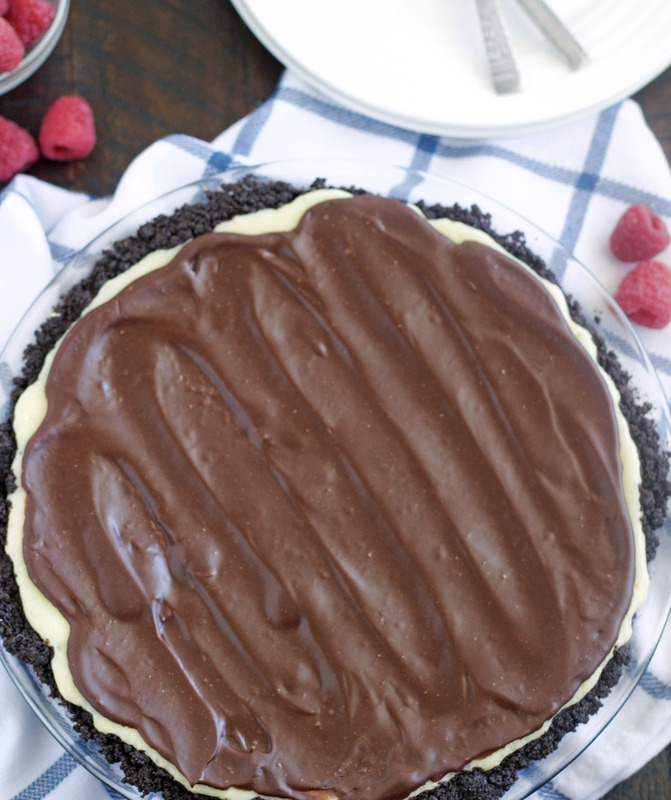 This Raspberry Cream Cheese Pie with Chocolate Ganache is decadent, divine and incredibly delicious. So simple to make, it’s the perfect dessert for any occasion. I can’t even believe it’s Memorial Weekend already. Where is this year going? May is practically over my friends, which means June is around the corner . . . ugh!! It’s not that I hate June, I actually love it. 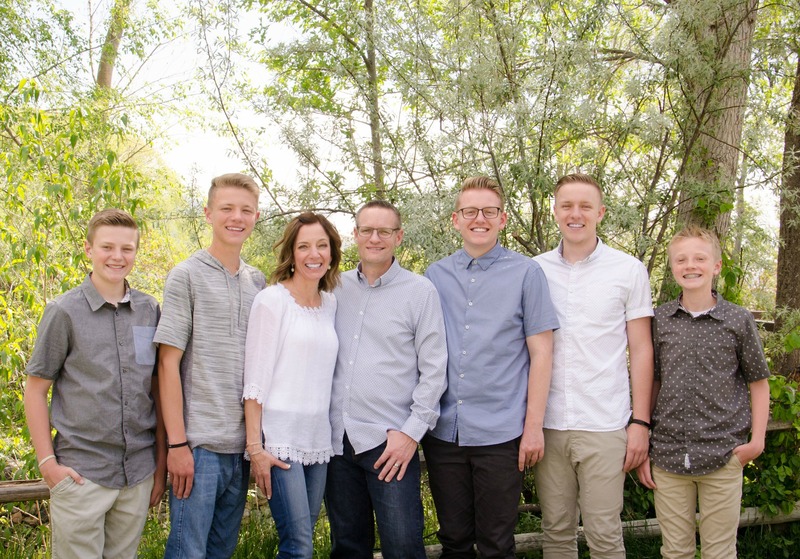 I’m just not going to like June this year because my son Taylor leaves on his LDS mission. I’m praying that these next few weeks go really slow and that time stands still for just a little bit. 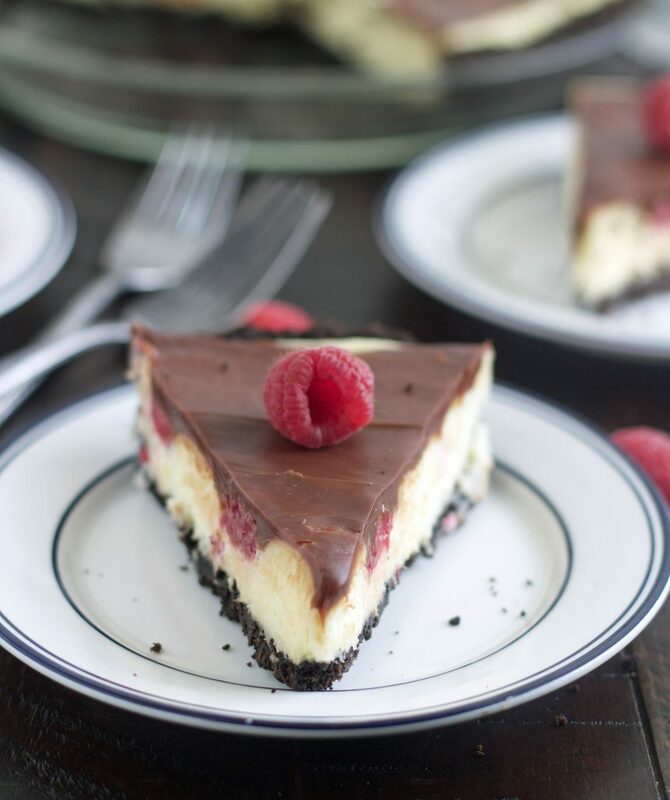 Maybe if I eat enough of this heavenly Raspberry Cream Cheese Pie with Chocolate Ganache then I won’t realize how fast June 28th is approaching. Oh this pie! To say we love this pie would be the biggest understatement of the universe. It’s utterly fantastic! 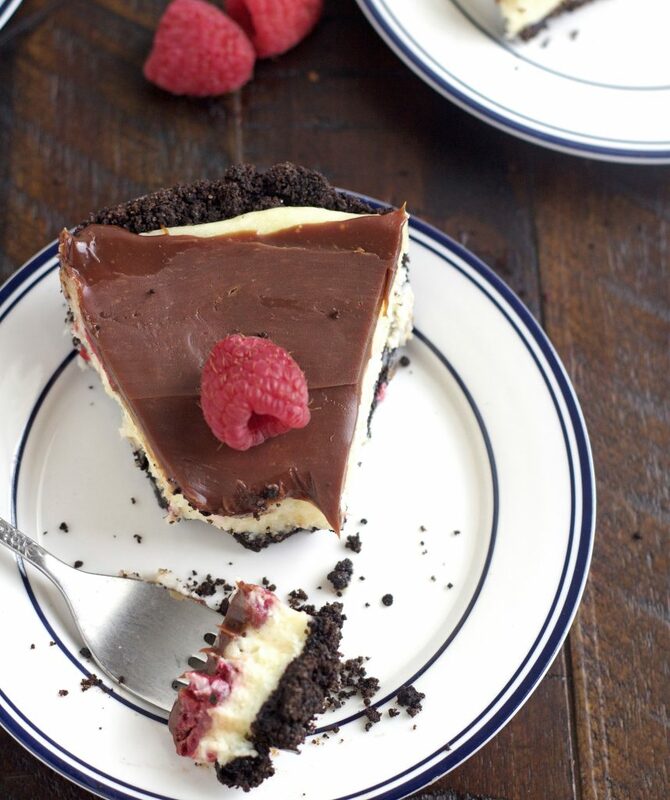 An Oreo crust filled with a smooth cream cheese filling studded with fresh raspberries and then topped with a chocolate ganach. . . it’s perfection. Simple but elegant, this pie is spot on for a fabulous dessert to complete any meal. With raspberry season underway, this dessert is the perfect thing to make with those beautiful berries. Combine the Oreo crumbs and melted butter in a small bowl, mix until well combined. Press into a 9-inch pie plate. Bake for 8 minutes. Let cool for about 15 minutes. While crust is cooling, make the filling by combining the cream cheese, granulated sugar, and vanilla, mix on medium speed until smooth. Add eggs and mix until just incorporated. Evenly spread the fresh raspberries into the bottom of the cooled Oreo crust. Pour the filling into the cooled crust and bake until set, 40-45 minutes (or longer, depending on your oven). The pie should be set except for the very, very center will still "jiggle" slightly). Let pie cool to room temperature, then spread ganache over the top and refrigerate until cold, at least 4 to 5 hours or overnight is even better. Slice into pieces and enjoy. Keep stored in refrigerator. To make the ganache: Place the chocolate chips in a medium bowl. Heat the whipping cream in a small sauce pan until just simmering (you'll want small bubbles along the edge of the pan). Remove from heat and pour over chocolate chips. Let sit for a minute or two and then stir until smooth and glossy. You can use all milk chocolate or all semi-sweet if you prefer. I like the combination of the two together. 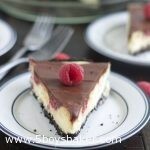 Hey Jodi this looks like a great recipe the raspberry chocolate cream cheese cake. But I’m confused. The instructions say put the raspberries on top of the Oreo crust but the picture looks as if the raspberries are on top of the cream cheese before you put on the ganache. Can you clarify? Thanks! Hi Catherine. Sorry if you’re confused by the pictures vs. the directions. I tried this a few different ways each time I made it. In the pictures I did actually pour the cream cheese filling into the crust first, then put the raspberries on top and then baked it. I was hoping they would sink more into the middle as it baked, but they didn’t. The way I have liked it best after it bakes up is by pouring half the cream cheese filling in, then the raspberries, then the remaining filling. I realized late last night that in the directions I said to put the raspberries on the bottom. I meant to fix it first thing this morning, so thanks for asking. I’ve changed the directions to how I like it best. You certainly can do it anyway you’d like. It doesn’t change how yummy it is. I hope you have a chance to make it. Have a great weekend. I gotta tell you that my mouth is watering after seeing these pics. Raspberry… cream cheese…. chocolate. NOMS! This looks delicious! I’ve had something similar before with a fruit jam or glaze on top, but the idea to add fresh fruit and top with chocolate ganache instead sounds amazing! I think this would make a wonderful Valentine’s Day dessert. Thanks for sharing the recipe!